Civil Department organised Faculty Development Program (FDP) by Mr. Pankaj Munchal on “Life Skills Development” on Saturday, 17th Nov 2018. 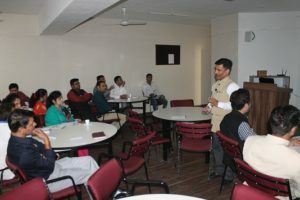 This FDP was organized for the faculties as it is beyond any doubt that faculty members are pillars of any academic institute as they play an important role in shaping the malleable minds of future generations. 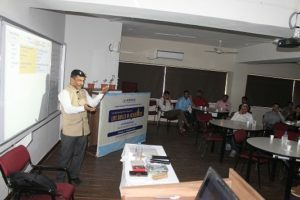 The state of art infrastructural facilities and technological innovation may facilitate training among the minds but primarily it is the holistic training and development of teachers to help them become role models which ensures overall academic excellence as their influence and motivation brings about a sustainable change. Since faculty members share a very emotional space with students, their right understanding based on universal values is a major imperative to keep them inspired and motivated to impart education to future citizens for a better world in all respects. 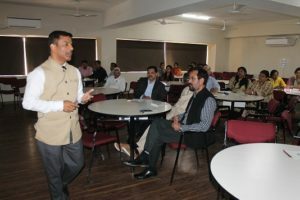 This FDP was based on self-exploration using established theories of Value education; it has potential of bringing-about an overall transformation in teachers.